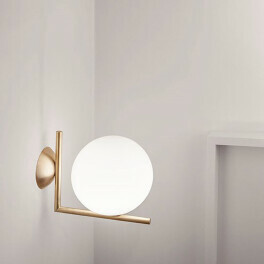 Design by Jasper Morrison, 2009 - by FLOS. 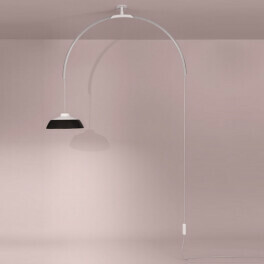 The Smithfield C is a ceiling lamp and provides direct light to the room. 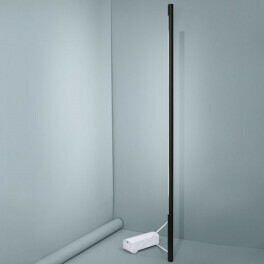 There's an aluminum body, finished in gloss black or white. 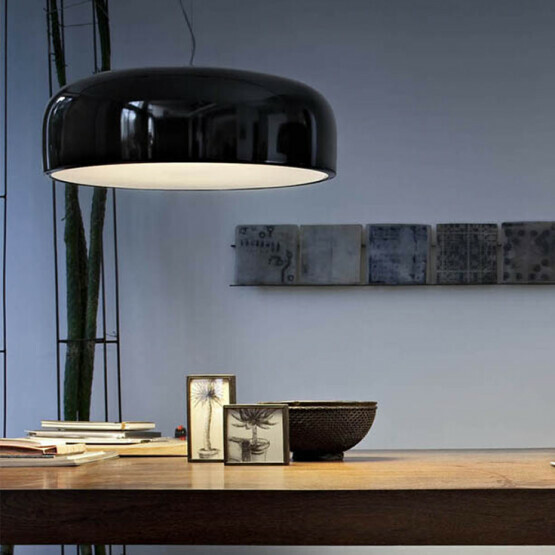 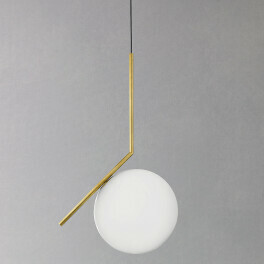 The lamp features a opalescent polycarbonate diffuser and a steel ceiling attachment. 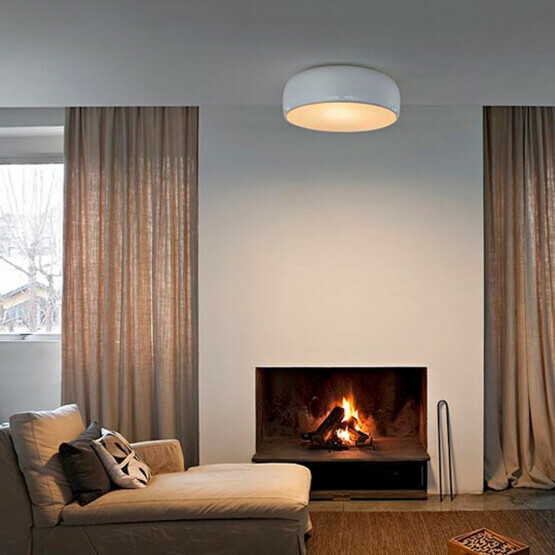 Please contact us to choose from halogen or fluorescent lamping.